With the help of producers Jay Allison and Viki Merrick of NPR’s “This I Believe” and “The Moth Radio Hour“, and independent producer James Spring, nine DimeStories were selected and produced in studio for placement on public radio stations. Right now, as we speak our spoken word pieces, the radio modules are posted on prx.org for program directors to peruse and choose for their stations. Our first piece, “Tommy” by Kelly Ruth Winter, was broadcast on KUOW 94.9 public radio Puget Sound recently. 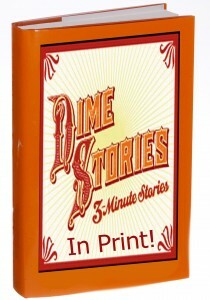 Stay tuned for more updates as DimeStories hits the airwaves. Below are two sample modules. More samples can be found at PRX.ORG. 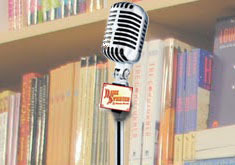 Some of our Showcase events live recordings are selected by the curators for production for podcasts. Soon we will be on iTunes and DimeStories can be subscribed to and downloaded. Here are a few recent productions for you listening pleasure. We have also produced a Season 5 CD with 21 produced recordings from our showcase event. If you like to purchase a CD for $10, contact us.